(Sunday 8th May 2011) I became aware of this event last year, the day after and when I mentioned it on our facebook page last year it got some interesting reactions……. So with a weeks notice you can get yourself prepared for being in the buff on Saturday 14th May 2011 for the sixth World Naked Gardening Day. Please note that The Secret Garden is no longer operating as a garden centre, we are now offering floristry services, wedding flowers, flowers for funerals and other occassions. 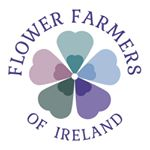 We also host courses and other events in gardening and floral displays and Sarah is available to do talks for organisations and at events all over Munster.